By glossing over the cardinal’s focus, Mahoney sought to claim that he defended a right for people to embrace any religion. He did no such thing. What the cardinal defended in the face of Communist persecution was the right of Catholics to practise the Catholic religion. There is no right—notwithstanding the assertions of the bishops of Vatican II and of the Pope who endorsed them—to embrace any but the one true religion established on earth by God. Other religions have no validity because the authority on which they are based derives not from God but from man. That truth, that there is no such thing as a right to religious liberty, has been part of the Church’s constant teaching from time immemorial. It was taught formally, with anathemas, by Pius IX in the Syllabus of Errors (December 8th, 1864). It was endorsed by Leo XIII in Libertas praestantissimum (20th June 1888) inter alios locos and upheld by each of his successors down to, and including, John XXIII. Mahoney’s appeal to Mindzenty as supporting the Americanist understanding expressed by the term smacks of the exercise in special pleading engaged in by Bishop Emil de Smedt in his Speech to the Council’s bishops on 19th November 1963. The lies the bishop uttered there—adopted willy nilly by a majority of the Council’s bishops—were exposed in the paper ‘Religious Liberty’ & the Development of Doctrine published on this website on 18th July 2010. Americanism subverts Catholic teaching to conformity with America’s Constitution and mores. These are not grounded in Catholic principle but in Protestant and Masonic ones. ‘Religious freedom’ or ‘Religious liberty’ which equates all religions, is a Masonic paradigm. Freemasonry does not care what form of belief a man engages in since each such belief is regarded as but matter for the form of the Masonic gnosis. This is manifest in Freemasonry’s tragi-comic, quasi-religious, ceremonies in which Almighty God is mocked to His face in oaths that breach the First and Second Commandments of the Decalogue. American Catholics who wish to study the errors of the heresy that bears their country’s name should read Leo XIII’s Letter to Joseph Cardinal Gibbons Testem Benevolentiae Nostrae, 22nd January 1899 and his earlier encyclical, Longinqua oceani . It is outrageous that Mahoney should abuse Cardinal Mindzenty and his heroism by asserting his support for America’s fatuous heresy. Mahoney’s conduct is of a piece with that of de Smedt who sullied the honour of Pius IX, Leo XIII, Pius XI, Pius XII and John XXIII by quoting them out of context to pretend that they endorsed the Masonic thesis. In an earlier paper we asserted that The Catholic Thing website should better be termed The Americanist Thing. Daniel J Mahoney’s paper invites the remark Quod erat demonstrandum. “[I]t would be very erroneous to conclude that in America is to be sought the type of status most desirable for the Church, or that it would be universally lawful or expedient for State and Church to be, as in America, dissevered and divorced. 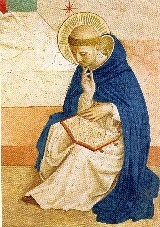 The fact that Catholicity with you is in good condition, nay, is even enjoying a prosperous growth, is by all means to be attributed to the fecundity with which God has endowed His Church, in virtue of which unless men or circumstances interfere, she spontaneously expands and propagates herself ; but she would bring forth more abundant fruits if, in addition to liberty, she enjoyed the favour of the laws and the patronage of the public authority.” Longinqua oceani (6.1.1895), n. 6.